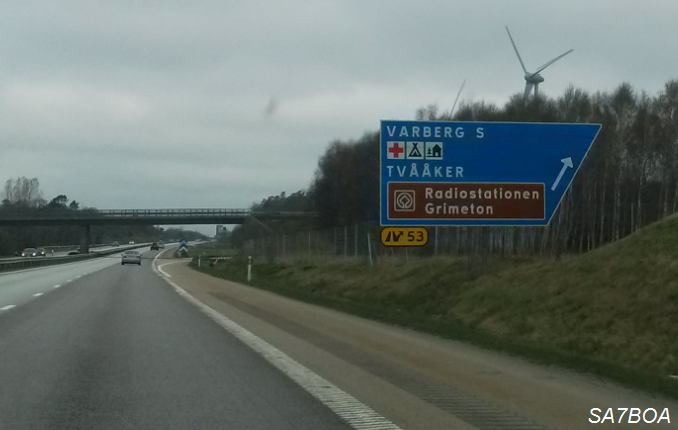 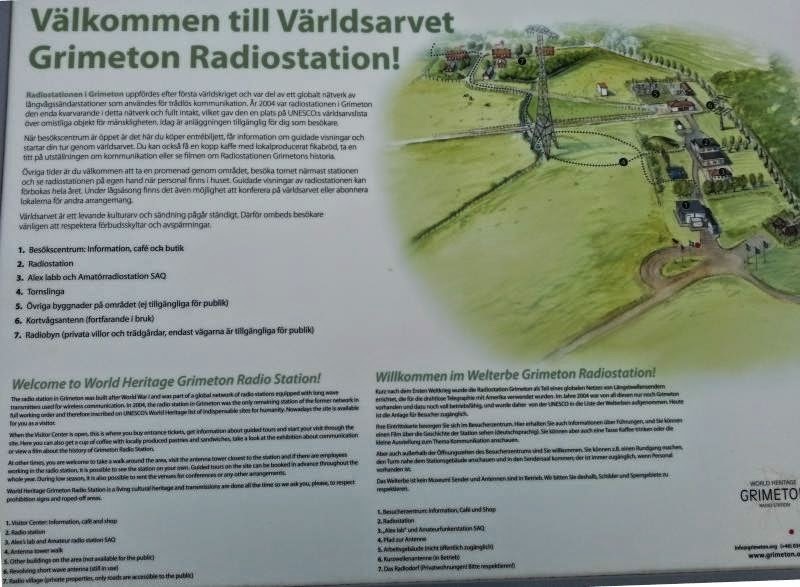 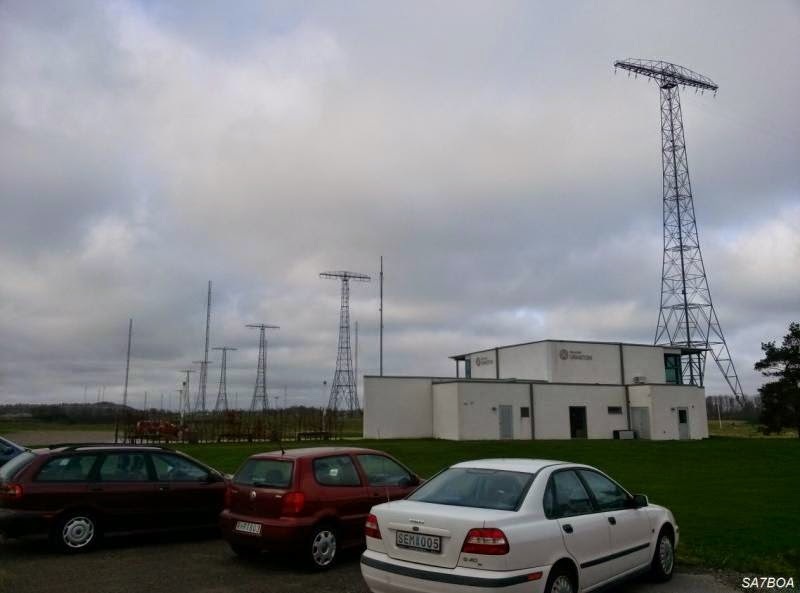 The Varberg Radio Station at Grimeton is a VLF transmission facility at Grimeton close to Varberg, Sweden. 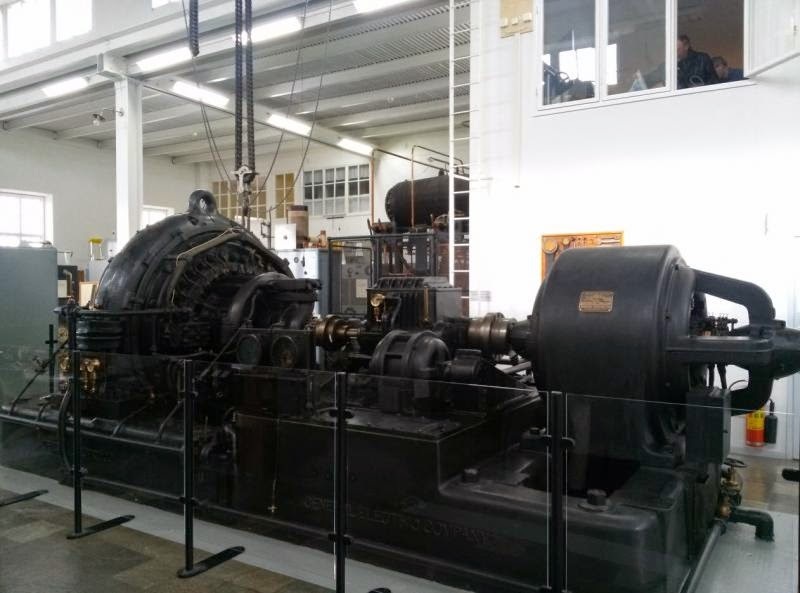 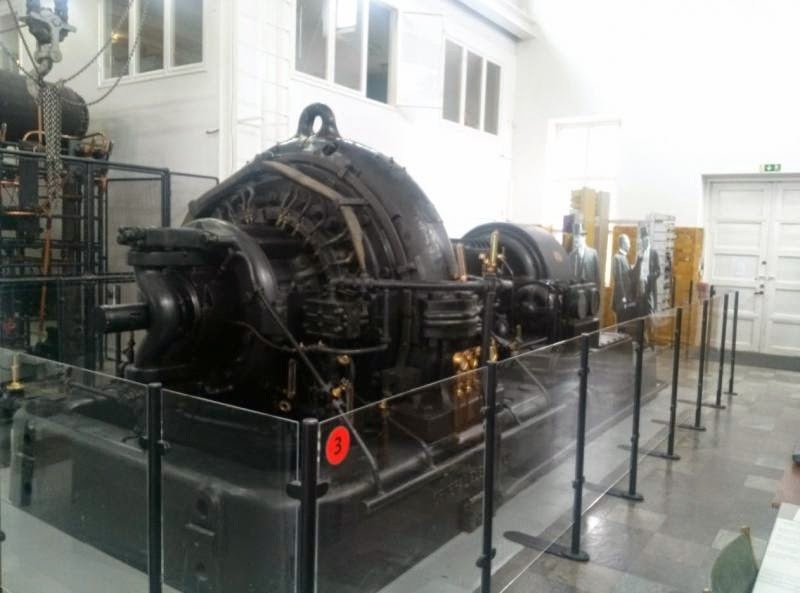 It has the only working Alexanderson alternator rotating radio transmitter in the world and is classified as a World Heritage Site. 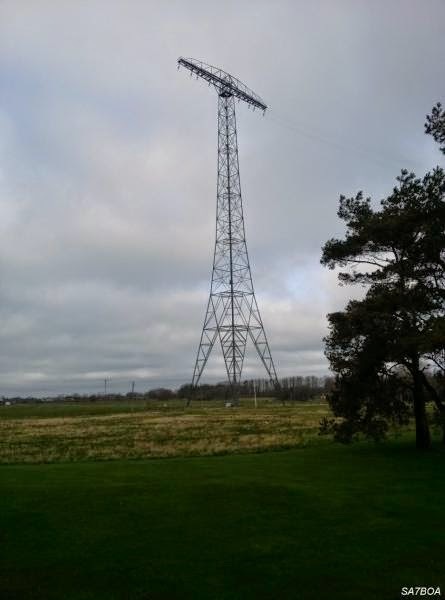 The transmitter was built in 1922 to 1924 to operate at 17.2 kHz, although it is designed to operate on frequencies up to 40 kHz. 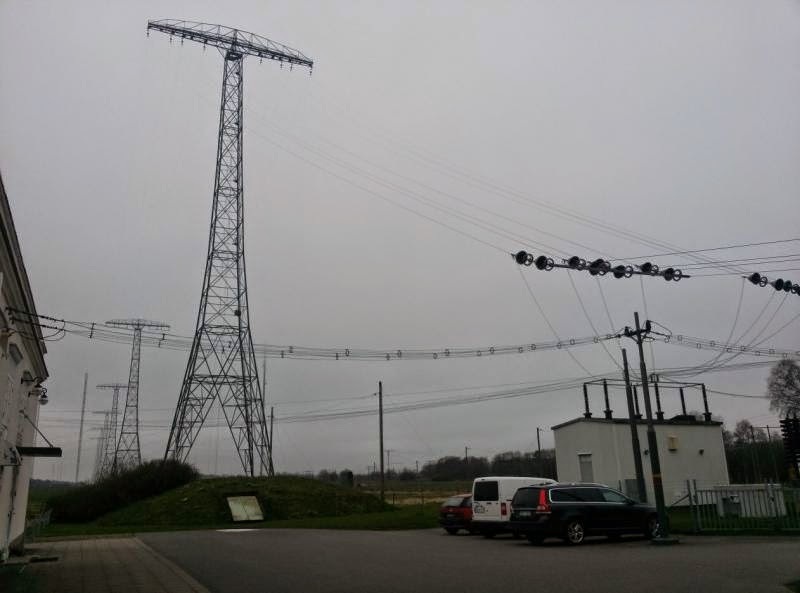 The antenna is a 1.9 km flattop wire aerial consisting of eight horizontal wires suspended on six 127-metre high freestanding steel pylons in a line, that function as a capacitive top-load to feed energy to six grounded vertical wire radiating elements.